Having grown up in the USA, I found there was a whole new universe of children’s books in the United Kingdom that I did not know existed. I remember loving such books as Clifford the Big Red Dog, Nancy Drew and Little House on the Prairie. British kids, though, have a different set of books they grow up loving. Living in England, my children read and love classics from both side of the Atlantic. These are my family’s five favorite books British kids read. (And almost all British kids read them.) I bet your kids will love them, too. 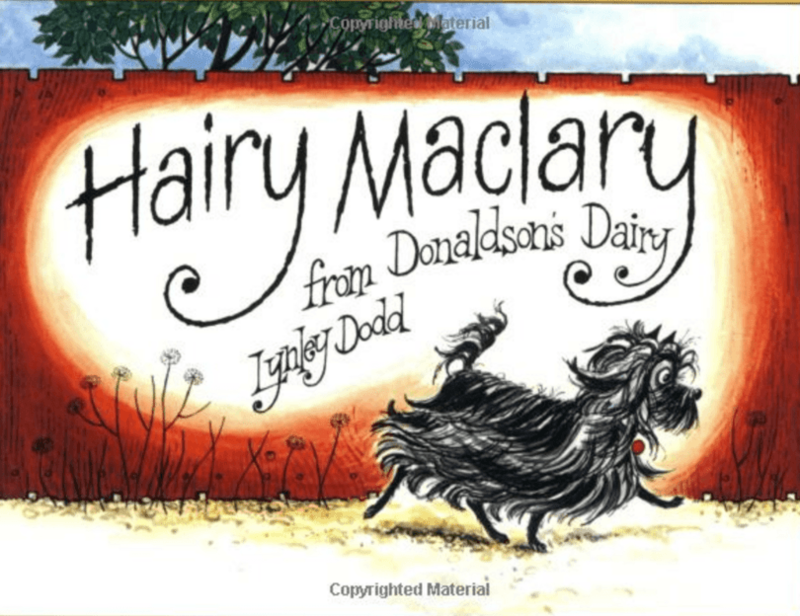 I read and re-read the Hairy Maclary books so much to my children that by the time they could read on their own, they had memorized the words. This series is written by Lynley Dodd, one of New Zealand’s most famous authors. They follow the tale of Hairy Maclary, a little terrier dog, and his canine pals, such as Bottomley Potts covered in spots (a dalmatian) and Schnitzel von Krum with a very low tum (a dachshund). These books are written in rhyme with many repetitive elements making it easy for children to read along and to anticipate what will happen next. My kids loved the series so much that they nicknamed our own dog, Scruffy McFluffy as a nod to Hairy’s gang and their singsong names. Moving on from pre-school books British kids read, another beloved set of books are about Horrid Henry, created from the imagination of British author, Francesca Simon. Henry is a rebel without a cause (or a clue). When he finds himself in a situation, he comes up with imaginative ways to get out of it. Mostly his answers to any issue just land him in more trouble. For example, Horrid Henry’s mother asks him to write his relatives thank you letters for his gifts. After much procrastination, Henry eventually writes a letter that asks his relatives to thank him for being so gracious as to accept their terrible gifts. Needless to say, his response does not go over well with his mother. These books teach how not to behave and the negative consequences of making poor choices. David Walliams writes funny books for school-aged children. His stories tend to be a bit twisted. For example, in Ratburger, a girl must save her pet rat from an evil man who is using rats to make hamburgers. 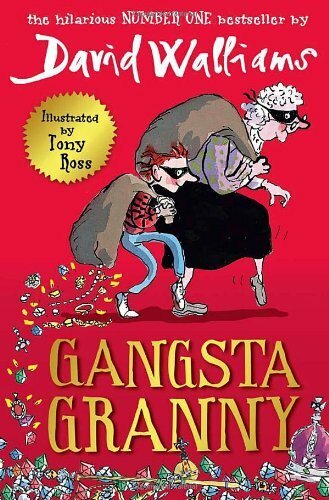 In Gangsta Granny, a little boy thinks his grandmother is terribly boring until he discovers she is actually an international jewel thief plotting to steal the Crown Jewels of England. 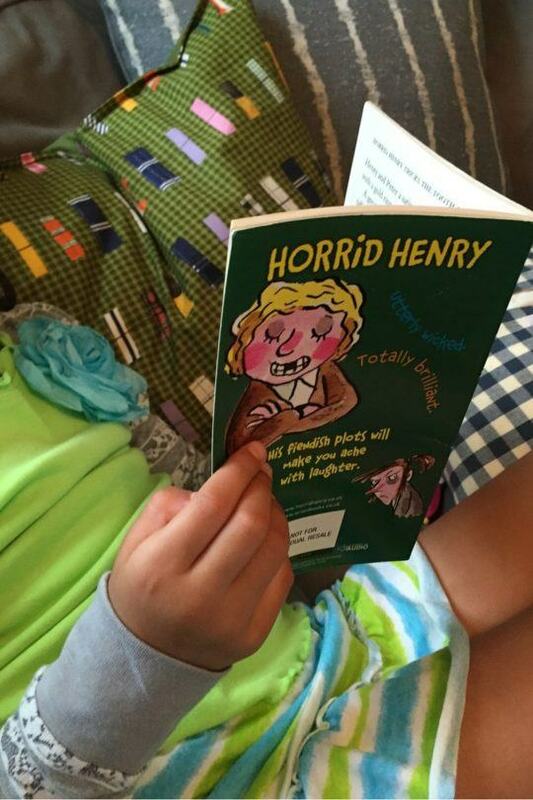 Horrible Histories make history come alive for children. The series is written by an English author, Terry Deary, and illustrated by Australian, Martin Brown. Mostly, these books appeal to children by describing the ridiculous and the macabre aspects of history. They explore British history as well as significant historical periods in world history (e.g., the Vikings, the Egyptians, World War I). In addition to history, the same treatment has been given to science, geography and mathematics in Horrible Science, Horrible Geography and Murderous Maths. Kids find these series intriguing because they make learning fun. 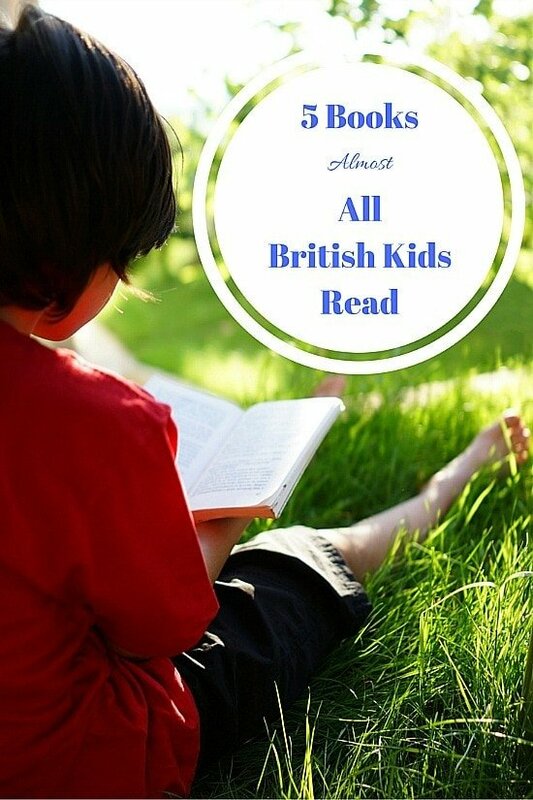 So, as you can see, this list is a lot more than just five books British kids read. There are entire series and authors to enjoy. I especially like the books that bring in a bit of slightly twisted British humor to the writing. Similar to how grown-up American audiences have discovered with Monty Python and comedians like John Oliver, British humor can provide addictive and compelling stories. Which of these books British kids read would appeal to your family? Let us know in the comments below! A Note from Travel Mamas: This story includes affiliate links. Affiliate purchases help to keep Travel Mamas a free resource for readers like you! Shobha George lives in London, England with her husband, two children (boy/girl twins) and dog. Although she grew up in New York, she has spent most of her adult life as an expat in Asia and Europe, which has been a great help in feeding her travel addiction. She and her family enjoy nice hotels, good food and other creature comforts. She is the author of Just Go Places blog. You can follow her adventures on Instagram at @justgoplaces. We are always on the lookout for great books to read. I think my kids would enjoy them all. But my eldest would really enjoy Horrible Histories! Honestly, I like them too. 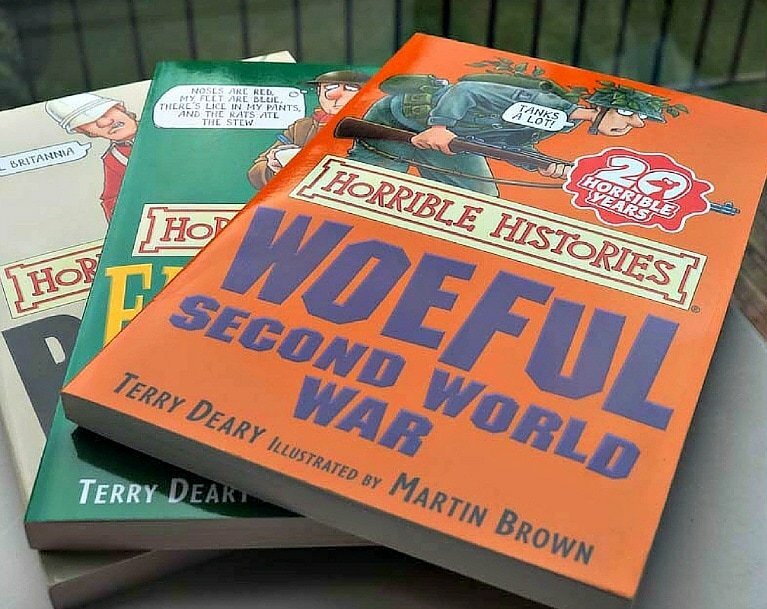 We went to a book reading by Terry Deary (the author of Horrible Histories) and the kids were fascinated with all the random bits of trivia (e.g., lots of rich people had rotting teeth because they were going a little crazy on the new import, sugar). so have my kids! Big Enid Blyton fans even though the books are a bit old-fashioned. These look like excellent choices. My kids are getting low as far as books go after reading all summer. I will have to purchase some of these. Thanks for sharing! Interesting to see some similar books that we have in the U.S. mixed in with some new ones. My kids love traveling through Heathrow just so we can stop at the book store and find books we don’t have in the States. We’ll keep an eye out for these next time. 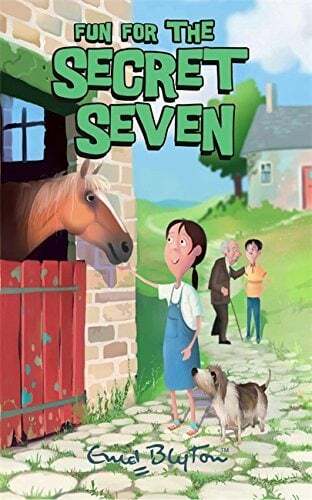 It’s good to see Enid Blyton books are still being read….I lived them and have the whole Famous Five & Secret Seven series somewhere so hoping my girls will read one day.. They are very old fashioned though. I loved Nancy Drew as well though…and The Hardy Boys. I think they have passed into classics territory so it’s ok to be slightly old-fashioned. The stories are still relatable. Wow! There are a lot of Enid Blyton fans! Shirley Hughes, an English author of Children’s Literature wrote many books much loved by my children, but their all time favorite was “Dogger”. This delightful write/illustrator manages to create endearing characters who do something particularly kind, or helpful in each story. Although I am only familiar with her picture books, I believe she also wrote at least one Young Adult novel, “Hero on a Bicycle”. Every child deserves the opportunity of being a part of Alfie’s world, and of hearing about Dogger’s suspenseful adventure, so I hope you might consider adding this author and her books to your list. That sounds fun! I’ve not heard of her and will have to lookout up.